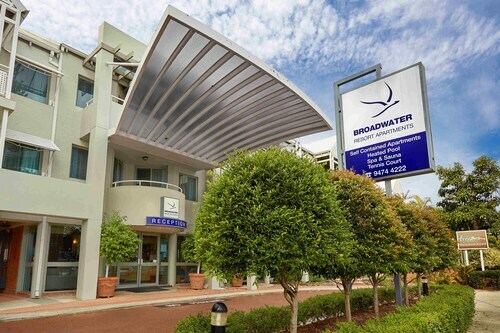 Situated in Como, this luxury apartment building is within 3 mi (5 km) of Perth Zoo, Old Mill (Shenton's Mill), and Curtin University of Technology. Jacobs Ladder and Swan Brewery are also within 3 mi (5 km). Perth Canning Bridge Station is 25 minutes by foot and Como Canning Bridge Station is 25 minutes. 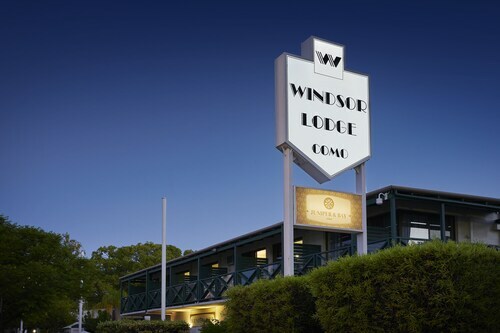 Situated in Como, this motel is 1.4 mi (2.3 km) from Perth Zoo and 2.7 mi (4.4 km) from Elizabeth Quay. Old Mill (Shenton's Mill) and Curtin University of Technology are also within 3 mi (5 km). Perth Canning Bridge Station is 25 minutes by foot and Como Canning Bridge Station is 25 minutes. Situated in Como, this apartment building is within 3 mi (5 km) of Perth Zoo, Curtin University of Technology, and Old Mill (Shenton's Mill). Heirisson Island is 3 mi (4.8 km) away. 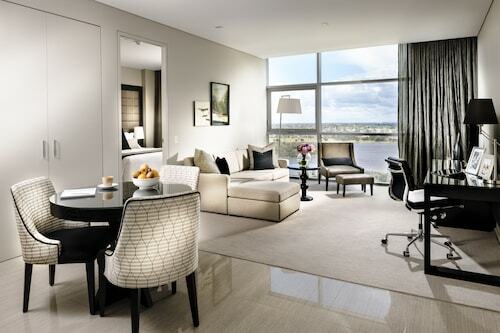 Como Canning Bridge Station is 24 minutes by foot and Perth Canning Bridge Station is 25 minutes. A lovely suburb in the city of Perth, Como is a great holiday destination in its own right. Tranquil yet conveniently located, it’s a place where you can soak up the atmosphere with a peaceful stroll by the river before heading into the city centre for a shopping spree! Your Como hotel is ideally situated to give you the best of both worlds, so book your next holiday here and be pleasantly surprised how much you fall in love with this city. A laidback lifestyle is what brings visitors back time and time again, Como offers more than enough to have you unwinding on your vacation. Enjoy breakfast in the cafe precinct, a vibrant little nook that also features many of Como’s best restaurants. Follow this up with a walk through the scenic riverside parklands, and head to the heritage trail. While strolling along the city streets, you’ll be amazed at the architecture and historic sites that are wonderfully preserved in the heart of the city. Bring a set of clubs and take advantage of one of the best golf courses in Western Australia, the Collier Park Golf Course. If you have family with you, just a short drive brings you to Applecross and the lovely Heathcote Reserve. Bring a picnic lunch and let your kids play while you soak up the stunning views across the Swan River and Perth’s city skyline. If you can time your holiday with the City of South Perth Fiesta in March, you’re in for a treat! Every year the whole area comes alive with family concerts, sporting events, local and national celebrities and a delicious Fine Wine and Food Fair. An entire street is closed off as the festival hits its grand finale, and celebrants enjoy the fun of the Mends Street Carnival. It really is fun filled weekend for the whole family. 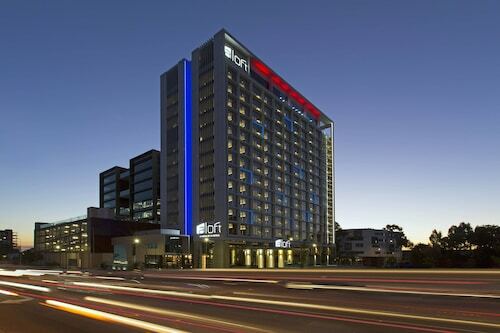 Only six kilometres from the CBD, Como is a fantastic holiday destination because of its local charm and close proximity to the best attractions Perth has on offer. 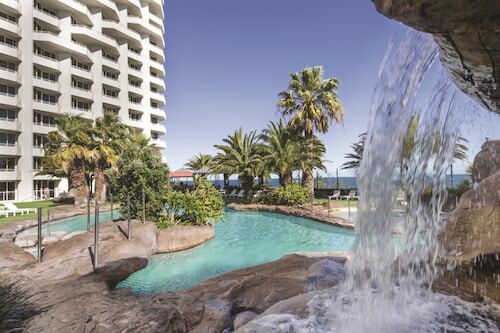 Explore the best of the suburb, or head to major attractions like Perth Zoo or Sir James Mitchell Park. Whatever takes your fancy, all that you need to do is book your Como accommodation and take your family for a wonderful vacation away. Why wait? How Much is a Hotel Room in Como? Hotels in Como start at AU$136 per night. Prices and availability subject to change. Additional terms may apply.